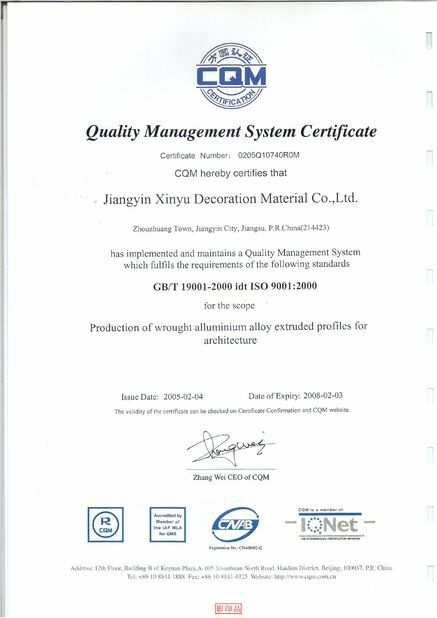 Material Aluminum Alloy 6000series, such as 6001, 6063, 6005,etc. 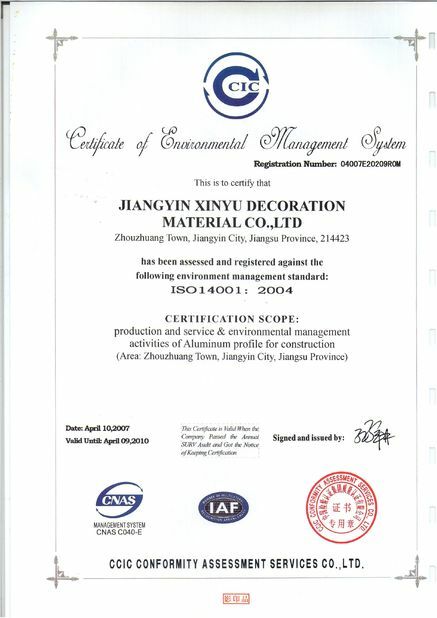 OEM/ODM Service Yes,please give us more details such as engineer drawing(s) (Auto CAD 2D or 3D, Solid work), sample, hand-painted.If you want us to design/paint one,please send your idea and description to via yuki@xinyu-aluminum.com email.There will be a professional service contacting with you. 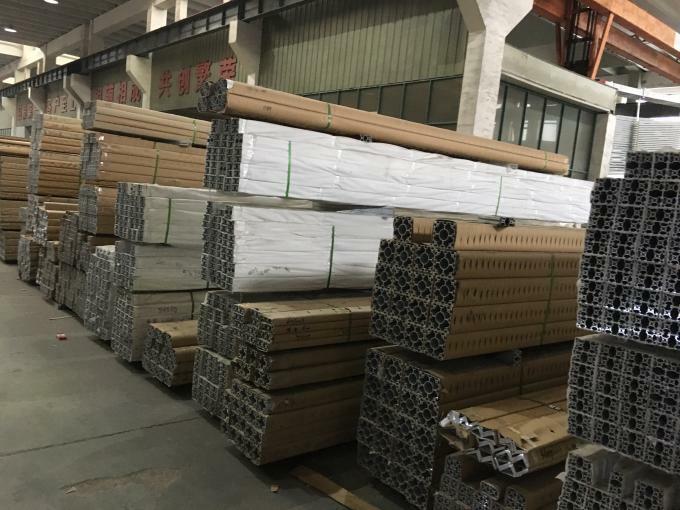 Jiangyin Xinyu Aluminium is a professional manufacturer for aluminium extrusion, fabrication, and anodize,is the son company of Yingkou Liaohe. 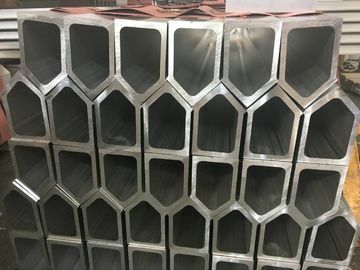 Extrusion workshop :It is provided with 7 sets of extrusion equipment fully imported from TaiWan and advanced constant temperature and constant speed extrusion production line with computer control. Anodizing workshop :The most advanced nickel salt staining system in the world is used for anodizing. Powder coating workshop: The 2 spray coating production lines were imported from Nuoxin America and Jingma Swiss. Matt electrophoresis workshop:It was established on 1993 year and had been in the order production. 1.We are the manufacturer,so that we can reduce the middle cost for you. 3.We have a lot of precision 3/4/5 machines in housing and we are wll placed to meet your requirements for fast delivery. 4.Having native speakers to provide the warm_hearted service for you and keep the record of feedback.